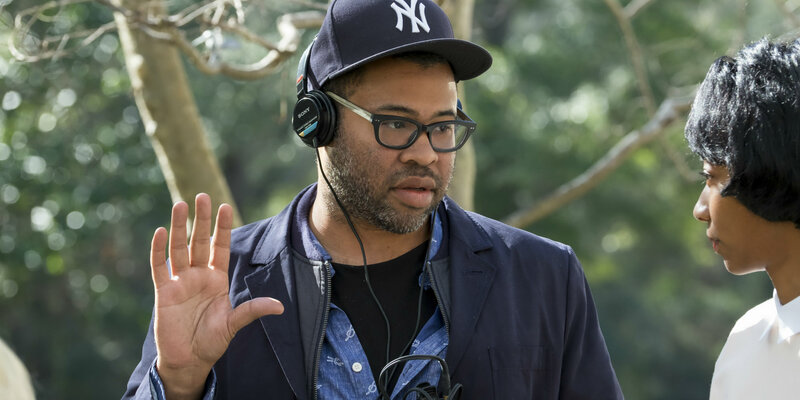 Comedian, writer, and director Jordan Peele is moving forward with his next project, in the form of an original thriller. Peele first properly made his mark with his and Keegan-Michael Key's Comedy Central sketch show Key & Peele, before really turning heads with this year's horror/thriller breakout hit, Get Out. Following his surprisingly insightful and uproariously incisive examination of racial politics in 21st century America - which earned well over $100 million in the U.S. on a $5 million budget - all eyes are trained on Peele as he decides on his next movie, behind closed doors. Despite being at the center of intense praise and accolades for his directorial debut, the man who brought Get Out to audiences around the world is definitely taking his time when it comes to delivering a followup that is sure to please fans of his first film. After bringing light to some of the more insidious forms of social prejudice still prevalent within the American population at large, Peele's next turn behind the camera - now confirmed to be an original thriller - is sure to draw significant attention. Per an official press release from Universal Pictures, Peele is currently hard at working writing the original screenplay for his followup to Get Out in the form of another socially-conscious thriller as part of a first-look production agreement with Universal. Little else is known about the specifics of the new movie at the time of this writing, but fans of Peele's first feature can no doubt begin to imagine just what kind of motion picture Universal will have in store for potential viewers sometime in the near future - in addition to several other microbudget projects that Peele will help co-create with Jason Blum of Blumhouse Productions. "Through extraordinary imagination and fearless humor, Jordan has proven himself to be a game-changer who is driven to tell stories that are as commercially entertaining as they are disruptive and provocative. The entire Universal family takes great pride in his incomparable filmmaking debut, and feel fortunate that this studio will be Jordan’s home for many years to come." Peele was likewise effusive in his gratitude towards Universal, stating that, "I am thrilled to continue the work we started together on Get Out," which is now sure to include several more original features to be developed in association with his own Monkeypaw Productions studio banner. Only time will tell how well-received Peele's followup to Get Out will ultimately prove to be, but here's to hoping for the very best from the filmmaker and Universal. Get Out becomes available to own on Blu-ray and DVD starting May 23, 2017.